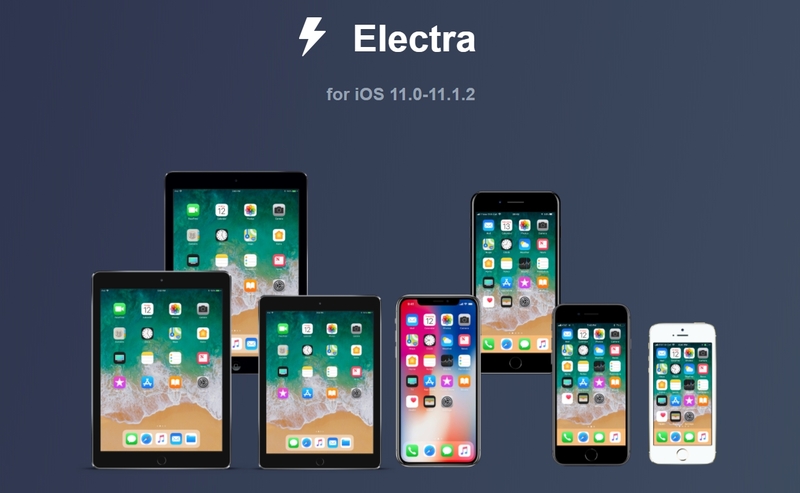 Download Electra Jailbreak ipa for iOS 11.0 – 11.1.2 for iPhone, iPad and iPod Touch. For all those Apple enthusiasts, the ones who have updated their devices to the latest iOS 11 and were waiting for a working and stable iOS 11.0 jailbreak. Here is the good news for you all. 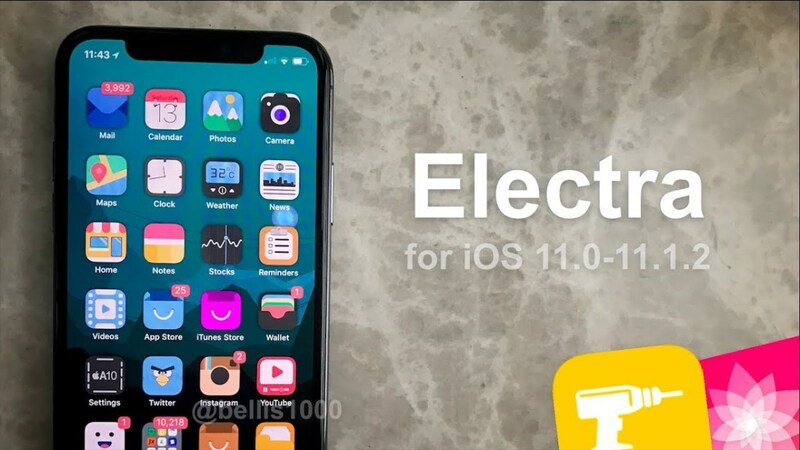 The renowned developers @coolstar has brought this wonderful Electra Jailbreak for all iOS devices running the latest iOS 11.0 to the current iOS 11.1.2. In his recent tweet he has confirmed the availability of this latest iOS 11.0 jailbreak. With this wonderful tool now you can Jailbreak your latest iPhone X, iPhone 8, iPhone 8 Plus. The Electra iPhone X Jailbreak just works fine as shown in the images below. Here is what’s stated on his account. The good news is that this new Eectra Beta 7 Jailbreak is Compatible with all iPhone, iPod touch, iPad and iPad mini models running iOS 11.0-11.1.2. The whole procedure of jail-breaking using this new tool is quite easy. All you need is a Cydia Impactor on your computer or mac and then flash this new Electra b7 ipa file on your device. But be sure that your device has these required version of the iOS. Electra Jailbreak for iOS 11.0 – 11.1.2 IPA can be downloaded below from this step by step guide. Fix a regression in beta 6-4 that would cause launched to run out of file descriptors. Electra is a tool designed for developers and themers. If you do not know how to use SSH, please don’t use this tool and wait for a later release. Although Electra itself should be safe, we are not responsible for any damage that may be caused to your iOS installation by any tweaks or executable you load after the jailbreak. First of all make sure you have installed the latest iOS 11 on your iPad. Then follow these steps and install the Eectra Beta 7 Jailbreak ipa on your iOS 11 to iOS 11.1.2 iPhones, iPad and iPod Touch devices. Step 3: After that simply connect your iOS 11 device with your PC using a USB cable. Step 4: Now you have to simply open the Cydia Impactor and drag and drop the Electra B7 IPA file on it. Step 5: Now you have to add your Apple account credentials. You can use a new account ID if you want your official Apple ID to remain more secure. Step 6: Now move to your iOS device. Step 7: Simply go to Settings > General > Profiles > find the profiles you just have added there. Step 8: Tap on the Trust button and here you go. Simply Open the Electra iOS 11 Jailbreak on your latest iPhone, iPad or iPod Touch and enjoy the pleasures of a Jailbreak on your device.